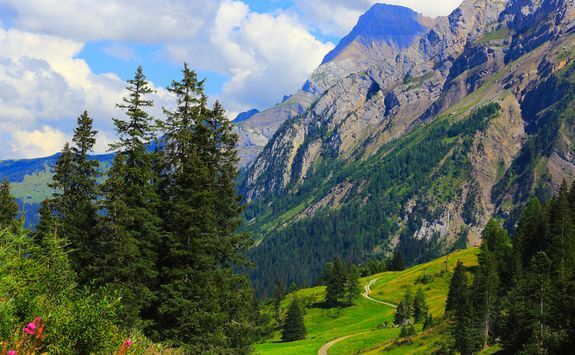 Switzerland is more than just a winter wonderland. 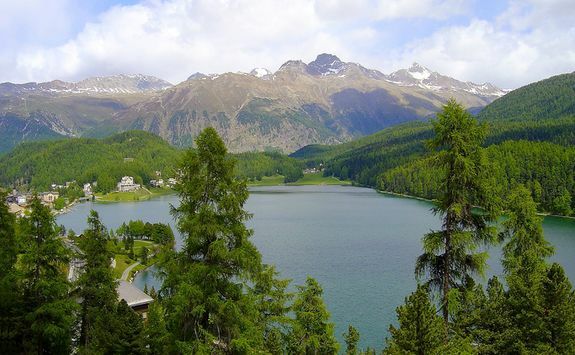 Spend a week enjoying the best summer activities the luxury Swiss resort of St Moritz has to offer, from wild swimming to mountain biking - with time spent in the spa for good measure. 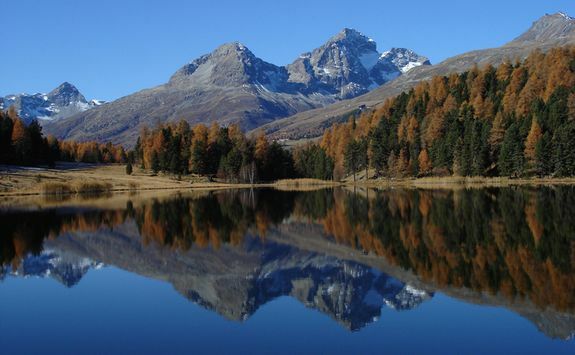 There are several two-hour flights to Zurich from the UK every day so depending on which one we've booked for you, you will arrive between mid-morning and late afternoon. 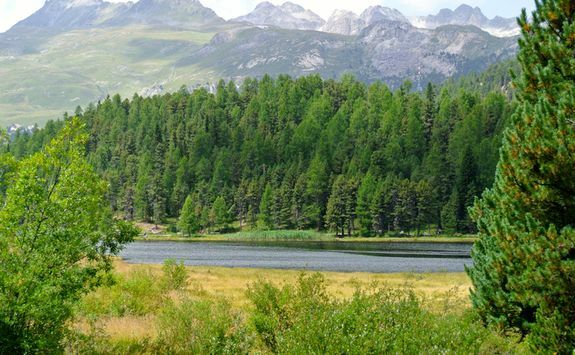 Once you have picked up your bags, you will pick up the keys to your hire car and set off on the three-hour drive through the mountains to your hotel - we have included detailed driving instructions in your final documents. 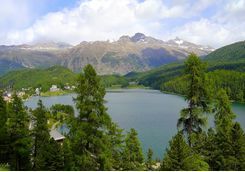 When you arrive, you will have time to settle in - and drink in the view - before dinner in one of the hotel's five restaurants. 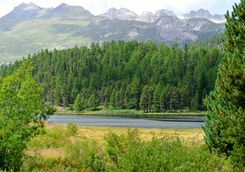 After breakfast this morning you will pull on your walking shoes for the hour-long hike to Lake Staz, which is much warmer than Lake St Moritz and perfect for wild swimming. 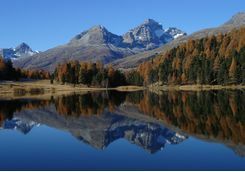 We will provide you with detailed directions and we can arrange a private guide if you would like one. 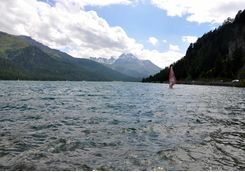 With a picnic, swimming togs and towels in your backpacks, you will make your way the lake for the day. 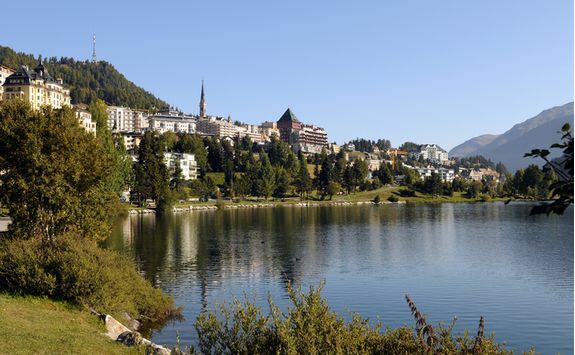 This evening, we have booked you a table at the fanciest restaurant in St Moritz. 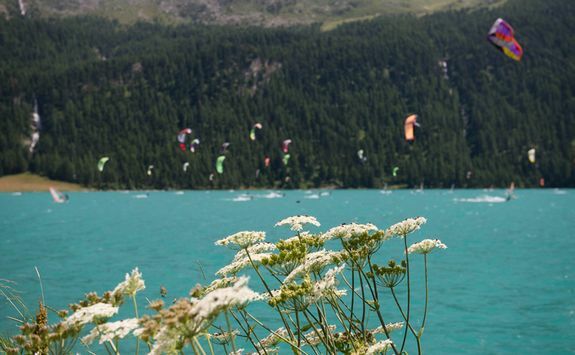 This morning you will make your way Lake Silvapana - just a ten-minute's drive away - where you will meet your expert kite surfing instructor for a private lesson. 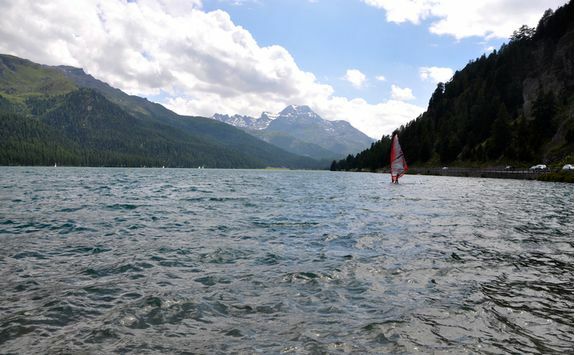 Wetsuits on, you will hit the water for a few hours mastering the basics - trust us, it isn't as easy as the pros make it look! 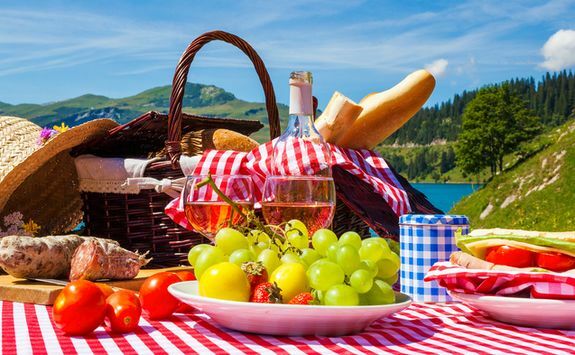 - before lunch. 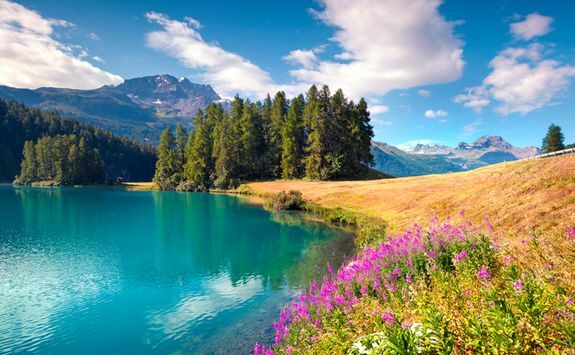 After a morning spent learning your chicken-loop from your donkey stick we imagine you will want to spend a little time cooling off in the lake before heading back to your hotel. 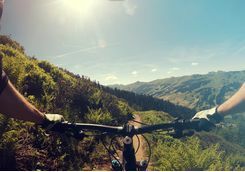 To pre-emptively help soothe any aching muscles caused by this morning's exertions we have pre-booked an apres-activity massage in your hotel's salubrious spa, where you can spend the rest of the day relaxing. 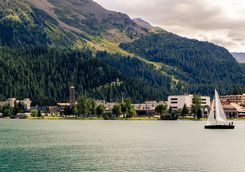 Our detailed destination Dossier is full of recommendations of the best places to eat and drink (and party) in St Moritz. 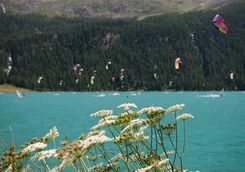 Today you will take to the water in a boat, rather than by kite surfing, as you make your way down to the sailing club on Lake St Moritz for a day's sailing lesson. 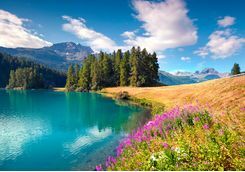 Depending on your ability you will head out in small sailing boats to learn your port from your starboard, and tacking from jibing, and enjoy a few hours sailing around the lake, surrounded by beautiful Alpine scenery. 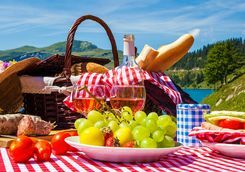 After lunch on the shores of the lake you will continue sailing around the lake until it's time for some sundowners at a lakeside bar. 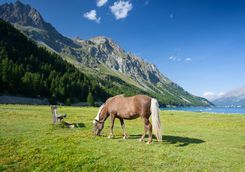 Today you will make the short drive from the hotel to a local equestrian centre, where you will be met by your eminently capable equestrian guide. 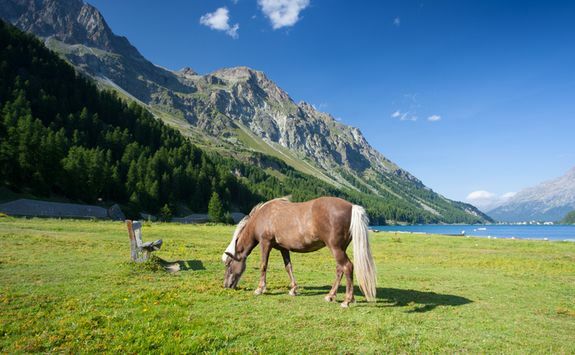 Once you have been matched to a horse you will set off into the mountains for the morning. 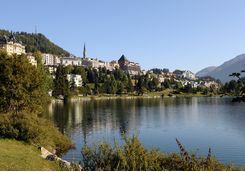 As you go, your guide will point out the scenery and spots from St Moritz's glittering past, until you have a view across the whole lake - where they play polo on the ice during the winter months (only in St Moritz). 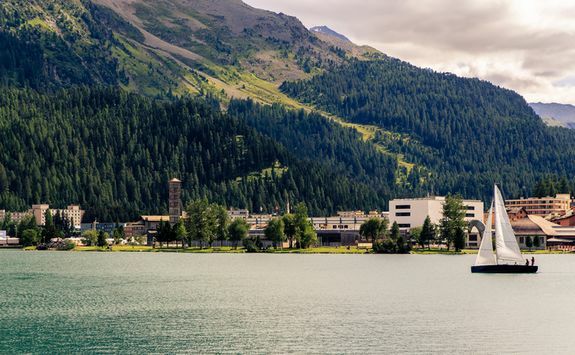 This afternoon, we recommend taking to the well-marked trails to explore the mountains on foot - there is something for every ability in the area around the town. 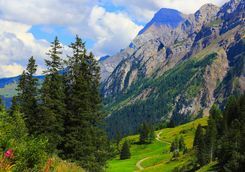 Not just for the MAMiLs (that's Middle Age Men in Lycra), mountain biking in the Alps is pretty good fun for everyone, so we have included a mountain biking pass in your final documents. 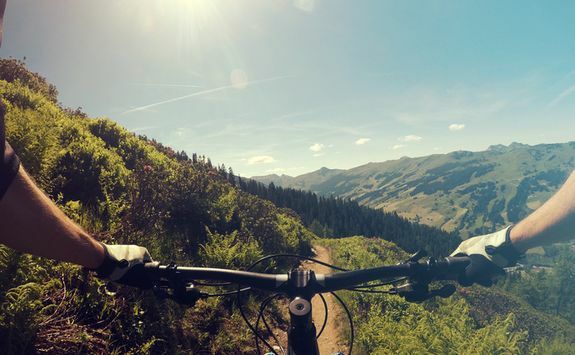 Bright and early this morning - to catch the sunrise over the mountains - you will be kitted out with a bike and safety gear and set off with an expert guide to explore the mountain passes inaccessible by car. 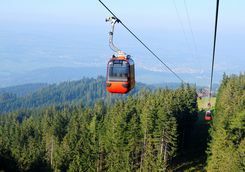 If you don't fancy a steep ascent first thing in the morning there is a cable car to take you up into the mountains in time for the epic sunrise and a day of climbs and descents that will take your breath away, sometimes quite literally. 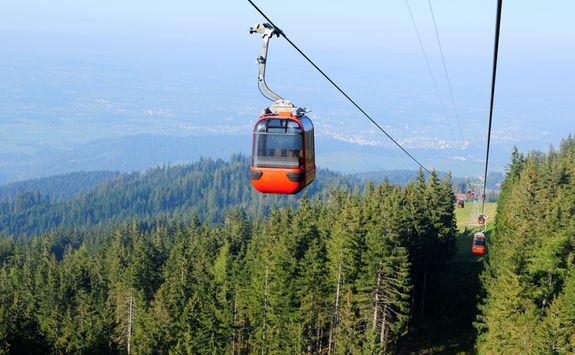 Depending on which flight we've booked for you, you will have some time to drink in as much mountain air as you can this morning before you make the three-hour drive back to Zurich in good time for your two-hour flight home.